This past weekend my foster daughter turned 1, so I decided to throw her a little party and share her special day with some family and friends. I didn’t want to go to crazy because money is tight with my surgery coming up but I still wanted the day to be special and it was the perfect opportunity to invite some of my friends over to see my new house. 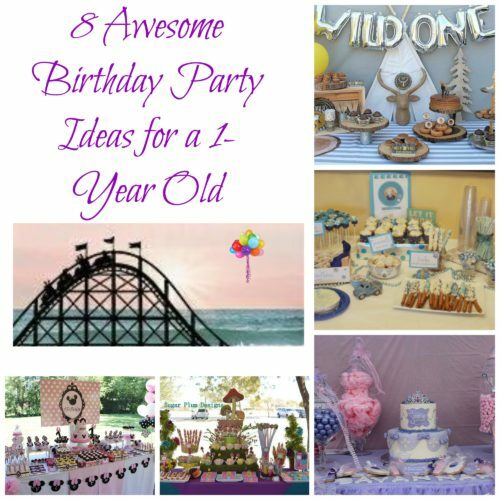 While doing my research, I came across some really cute ideas so I put together this roundup of cute ideas for her birthday. I went with a Sofia the 1st party theme because I found some cute princess theme decorations at Dollar Tree and paired that with the Sofia the 1st birthday cake to give her a relatively inexpensive party. Mine was nothing as elaborate as the ones mentioned above, but I thought it was cute and the other kids loved it. For even more ideas, be sure to check out my Pinterest board. ← Don’t miss Grandparent’s Day – We’ve got the perfect gift!